The School of Environment and Development invites applications for a fully-funded scholarship for candidates from developing countries for Master`s study by distance learning on the MSc Management and Information Systems. The scholarship will cover all study costs including tuition and examining fees and course material costs. The MSc in M&IS develops the “hybrid” mix of management and information systems skills that we know from experience is essential to the successful and strategic application of information and communication technologies by today’s organizations. It is designed to develop two groups of participants in developing and transitional economies: functional managers who wish to take greater control over, and make a more direct contribution to, change in their organizations via the development and implementation of information systems; and information systems professionals who wish to improve the success rate of the information systems they develop or use, and who may also wish to upgrade their management skills and knowledge. The programme is offered by IDPM`s Development Informatics Group, with staff members contributing to the University`s Centre for Development Informatics. Who studies on this programme? The MSc M&IS programme is available through distance learning so that practitioners can study while continuing to work in their ongoing professional roles, in the public, private and civil society sectors, or in roles in international organizations, agencies or NGOs. Students work alongside their MSc study, and complete the programme part-time, typically in about two-and-a-half years. 1. Be a national of and resident in a developing country of Africa, Asia, the Caribbean, Latin America or Oceania. 2. Have at least two years` work experience in a post relevant to their MSc M&IS studies. 3. 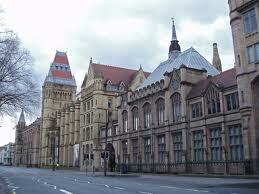 Hold a UK second class honours, upper division, or above, or its international equivalent, in their Bachelor`s degree. Applicants must not have previously studied in a developed country (short/language courses excluded). In the online application form, instead of a `Statement of Purpose`, you should include an original 500-word (maximum) statement with your application specifying how studying the MSc M&IS by distance learning will contribute to your professional and personal development. This document must be included in your application and also e-mailed separately to Mr Daniel Chung, SED Recruitment and Admissions Assistant, at: daniel.chung@manchester.ac.uk. The title of your e-mail should be `M&IS DL Scholarship Applicant` plus your name and seven-digit University of Manchester application number (this is generated when you submit your application form); for example: `M&IS DL Scholarship Applicant Sally Smith 2507949`. The deadline for applications to be submitted is Friday 17 December 2010 17.00 GMT. If you are successful you will be notified by the end of December 2010 and start the programme in January 2011. Demikian kami sampaikan tentang MSc Scholarships in Management and Information Systems, University of Manchester, UK semoga informasi tentang MSc Scholarships in Management and Information Systems, University of Manchester, UK ini bermanfaat.